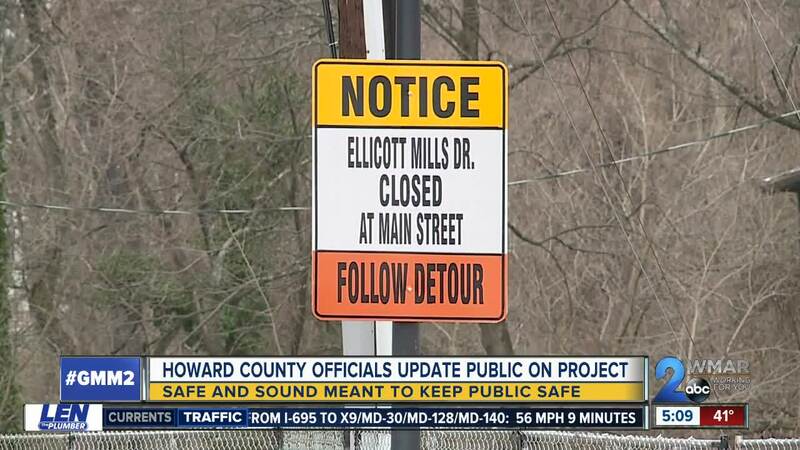 After two historic floods in Ellicott City, Howard County found a way to protect their beloved city from future disasters. ELLICOTT CITY, Md. — After two historic floods in Ellicott City, Howard County found a way to protect their beloved city from future disasters. County Executive Calvin Ball introduced a Phase 1 of the Safe and Sound Project in December 2018 and on Thursday officials shared an update on their progress. "It's not longer acceptable to just be reactive, we need to be proactive and to be thinking ahead and recognizing this ever changing climate how we can continue to be that model for resiliency around the world," said Ball. The phase included new technology for the emergency alert system, securing buildings on Main Street and clearing debris from area waterways. Ball also unveiled a new Safe and Sound website.